Day 31 of my World Cup 2018 concept series, Tunisia. 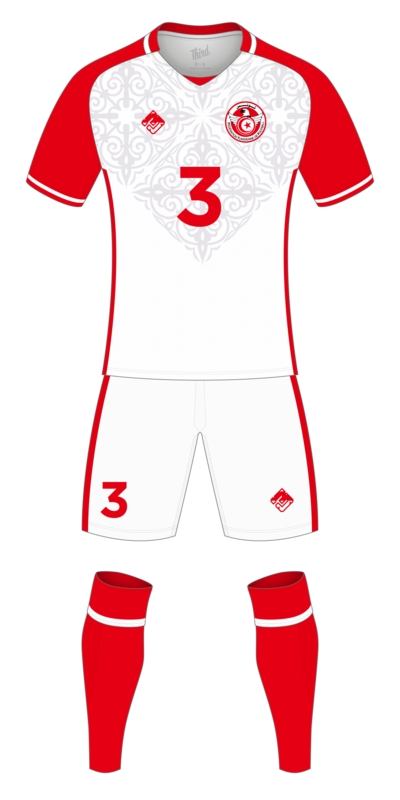 A mostly white kit with red sleeves and detailing, plus a tiles pattern on the upper half of the jersey. White shorts and red sock complete the kit.